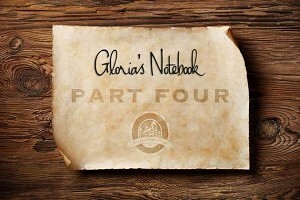 Don’t miss this week’s installment of Gloria’s notebook where she learns a disturbing truth that will change her life forever. AND, she’ll get her first look at the “other woman”. Click here to go to Gloria’s Notebook.